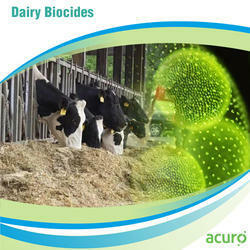 ACURO ORGANICS LIMITED range of advanced technology biocides and disinfectants have been developed for use in a wide range of commercial cleaning, disinfection, environmental hygiene, industrial and process water treatment activities where the effective control of microbiological activity in water and on surfaces is essential, if not critical. Our high performance biocides deliver superior performance and include both oxidising and non-oxidising biocides for complete water system control including calcium hypochlorite, isothiazolin, silvocid, twin oxide, sdic, glutaraldehyde, chlorine tablets etc..
Acurosil offers effective alternative broad-spectrum, disinfecting and microbial controls solutions surface dsinfection and industrial water treatment. Simple and sustainable, ACurosil biocide products are superior in microorganism killing performance, providing occupational helath benefits and reduced treatment costs. 1. The ingredients is Acurosil , hydrogen peroxide and silver , ahve been used in medical applications for generations. 5. 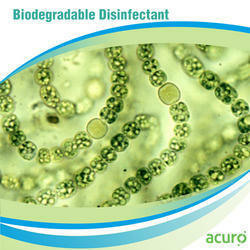 Acurosil doesnot generate any Volatile Organic Compound(VOC), which have an effect on the enviorment and human health. Only oxygen is released to the atmosphere. This also includes trihalomethanes(THM) such as chloroform, Acurosil therefore does not create any absorbable organic halides(AOX). 7. Neutralization after use is not necessary. 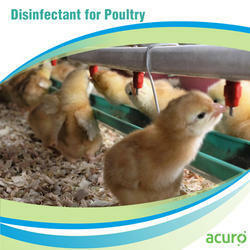 ACUROX DI-3 is an environmentally safe and versatile antimicrobial and a powerful disinfectant. When ACUROX DI-3 is dissolved in water, it disintegrates to water, oxygen and carbon dioxide. All the degradation products are non toxic. .No rinse required at levels upto 100 ppm for food items and upto 500ppm for equipment or tank sanitation use. ACUROSAN® Disinfectants are highly effective, universally applicable products on the basis of benzalkonium chloride and an organotin compound. Owing to the synergetic effect, the combination of both main components results in the enhancement of their individual properties. ACUROSAN® Disinfectants are perfectly suited to the disinfection of surfaces and contents. In either case there are no gaps in effectiveness and no danger of bacterial resistance. Apart from being neutral as far as smell and taste are concerned, long-term effectiveness, environment friendliness and easy handling further characterize the products. The ACUROSAN® Disinfection Concept is completed by a wide range of selected and tested measuring, dosing, and spraying equipment, thereby offering a user-friendly, well developed and complete disinfection solution. Chlorine Tablets are the newest unique product on the market today specifically designed for emergency water needs for Disaster Relief, Emergency Preparedness, Humanitarian Relief, Natural Disasters, Military, Bulk Water Storage, Camping, Hunting, RV's, Consumer Stock etc. and this is how it works. The chlorine tablets are comprised of dry chlorine that is EPA (Environmental Protection Agency) registered for use in disinfecting drinking water. Chlorine is the method of choice for drinking water disinfection by more than 98% of the municipalities and rural water districts here in India Each tablet is designed to disinfect 1 Liter of water. 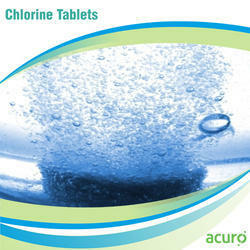 Each pack of Chlorine tablets tablets consists of 50 tablets. This 1 pack is enough tablets to disinfect as much as 20 gallons of water. The recommended dosage as listed on the dosage chart included with the pack is for a total chlorine dose of 9 ppm (parts per million) total available chlorine to the prescribed quantity of water. Various sizes of it are available 0.2gm, 0.5gm, 1gm, 2gm, 3gm, 5gm, 7gm, and 9gm. 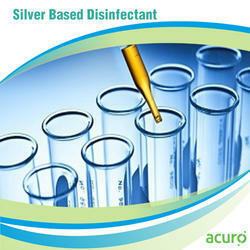 ACURO ORGANICS LIMITED has recently started to compose and supply a large assortment of premium quality, as a silver-based disinfectant. It is quivalent to Huwasan and Sanosil. We also have to our name many variants related to outputs that go sold at leading industry prices. We have been making use of various R&D programs that ensure technical perfection in our very large line-up. The two major inputs, hydrogen peroxide (H2O2) as the oxidizing agent and silver (Ag) with its powerful oligo-dynamic and catalytic effect, come together with stabilizers to deliver an intricate output. India has a long tradition of floriculture.Owing to steady increase in demand of flowers,floriculture has become one of the important commercial trades in agriculture.Floriculture products mainly consist of cut flowers, pot plants, cut foilage, seed bulbs, tubers, rooted cuttings and dried flowers or leaves. Floriculture crops like gerberas, carnation, etc. are grown in green houses. The open field crops are chrysanthemum, roses, gaillardia, lily marygold,aster, tuberose etc. 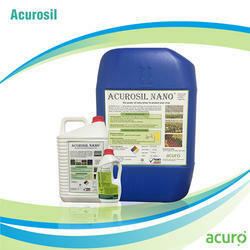 Acurosil Nano+ is environmentally benign (benevolent) and very effective against a wide spectrum of micro-organisms. 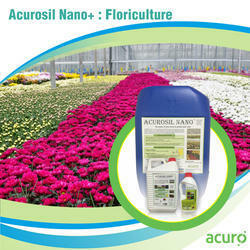 Applied soon after harvest, Acurosil Nano+ ensures farm-fresh appearance, original aroma and quality even after prolonged storage during marketing. Horticulture is one of the main agricultural practices in a nation. It is basically the science of cultivating gardens or orchards, that is, it refers to the process of cultivation of fruits, vegetables, flowers and ornamental plants. India has a large variety of fruits in its production basket and account for almost 10% of the world's total fuit production. Some of the important fruit varieties grown in India are Mango, Banana,Citrus, Pineapple, Papaya, Guava, Cheeku, Jackfruit, Apple, Leechi and Grape.More than 40 kinds of vegetables belonging to different groups are grown in India - including tomato, cucumber, capsicum, onion, brinjal, cabbage, cauliflower, okra, etc.A wide range of bacterial, fungal, viral diseases and nematodes affect horticulture crops in India. Most of these diseases and nematodes can be controlled or treated by using Acurosil Nano+. 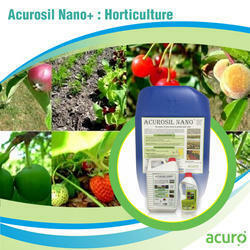 Acurosil Nano+ is a multi-component complex formulation containing Hydrogen Peroxide (H2O2) and Silver (Ag) in nano form. Hydrogen Peroxide is known to have a strong germicidal effect. Silver is well known to posses anti-senescence properties.Acurosil Nano+ is environmentally benign (benevolent) and very effective against a wide spectrum of micro-organisms. (Our product is equivalent to Sanosil and Huwasan). Applied soon after harvest, Acurosil Nano+ ensures farm-fresh appearance, originaltaste and quality even after prolonged storage during marketing. 4. Post harvesting: Extending product Shelf life. SDIC (Sodium Dichloro Isocynurate/NaDCC) comes popular as a major broad-spectrum disinfectant, bactericidal, algaecide, deodorant, largely utilized in the disinfection operations for drinking water, restaurant, hotel, hospital, public bath, swimming pool. Our line-up of filter gravel and support pebbles come in a spherical shape. We offer large scale industrial applications on our assortment. Radocarb Expert has to its name many outputs that come utilized in service to the leading dairy firms. They utilize various PPM for many different venues, though you can very well ensure industrial perfection at very low PPM levels, and at the service of very little bleaching contents in the fray. In addition, we sell many variants for the market to consume in the mid-scale segments just as well. 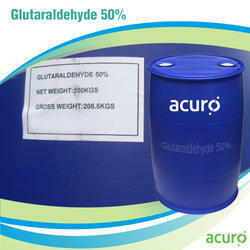 Glutaraldehyde comes to be largely sophisticated organic compound that comes supplemented with the formula CH2. Our outputs come to stand as largely intricate solutions that have to them a pungent colorless oily liquid; glutaraldehyde comes utilized for disinfecting medical and dental equipment. It comes utilized for industrial water treatment. We sell at various highly reasonable prices. Chlorine tablets are specially formulated using a dry chlorine donor, sodium dichloroisocyanurate (NaDCC) which is carefully blended with reliable effervescent components to create a highly effective disinfectant product in a convenient, easy to use tablet form. 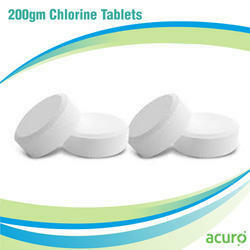 Chlorine tablets are a safer, more effective, economic and convenient disinfectant. They are fast acting and have a complete spectrum of biocidal activity, being effective against virtually all known bacteria, bacterial spores, algae, fungi, protozoa and viruses. We offer various sizes such as 0.2gm, 0.5gm, 1gm, 3gm, 5gm, 7gm, 9gm, 20gm. Calcium hypochlorite is a chemical compound with formula Ca(ClO)2. 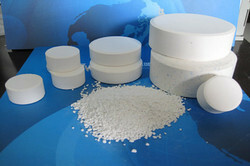 It is widely used for water treatment and as a bleaching agent. This chemical is considered to be relatively stable and has greater available chlorine than sodium hypochlorite (liquid bleach). 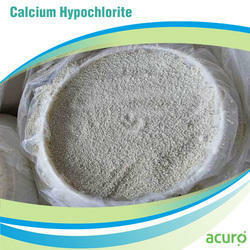 Calcium hypochlorite is used for the disinfection of drinking water or swimming pool water. Generally it is sold as 68% calcium hypochlorite combined with calcium chloride and other salts. It is used as a sanitizer in outdoor swimming pools in combination with a cyanuric acid stabilizer, which reduces the loss of chlorine due to ultraviolet radiation. Calcium hypochlorite is an ingredient in bleaching powder, used for bleaching cotton and linen. It is used in bathroom cleaners, household disinfectant sprays, moss and algae removers, and weedkillers. It is an organic compound used as an industrial disinfectant, bleaching agent and a reagent in organic synthesis.It is white crystalline powder, which has a strong odour very much similar to chlorine. Our product is similar to Nisan (Japan) make.It is sometimes sold in tablet or granule form for domestic and industrial use. 1. 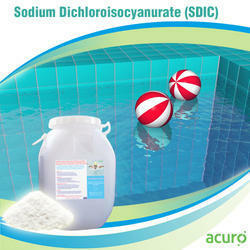 The compound is a disinfectant, algicide and bactericide mainly for swimming pools and dyestuffs. 2.It is also used as a bleachingagent in the textile industry. 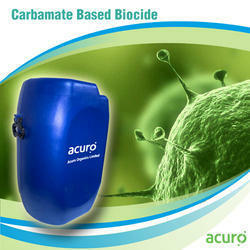 We have to our name many variants of the largely sophisticated carbonate based biocide. The SDMDC or SDD comes as a biocide, largely utilized in the field of industrial water treatment with the aim of preventing any sort of fouling in the industrial wastewater treatment program. In addition, we have with us various complex industrial wastewater treatments for the sugar industry. 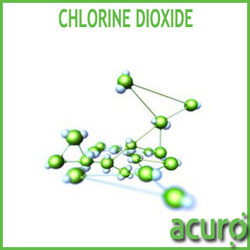 Chlorine dioxide comes to be a highly active oxidizing biocide that has very little damaging effects to the environment and human health when compared to chlorine. Chlorine di-oxide does not form any hydrochlorous acids in water; it stays as fully dissolved chlorine dioxide, a compound that is a more reactive biocide at higher pH ranges. 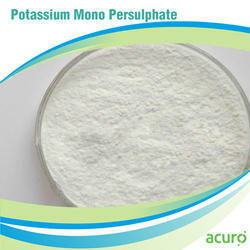 Potassium Mono Per sulphate is used in oral hygiene formulations, pool and spa shock and disinfection, paper recycling, printed circuit board etching, wool shrink proofing, laundry bleaches, precious metal extraction process. It can be used to oxidize hydrogen sulfide (H2S) and other reduced sulfur compounds, such as mercaptans, sulfides, disulfides, and sulfites in waste water treatment. It's also an oxygen releasing agent in aquiculture and low temperature bleaching agent in detergent formulations. Looking for BIOCIDES - Oxidizing ?